Barnes Moving and Storage Company can provide safe and easy moving services to residential and commercial customers throughout Connecticut. Any move, whether it be residential, corporate, office….to another country or just storage, is very stressful! Barnes Moving and Storage has been an agent for Mayflower Transit since 1942. Serving Middlesex, New London, Tolland and Windham counties in CT as well as Rhode Island, Barnes Moving & Storage of Mystic, CT offers safe, secure handling by courteous, experienced and professional personnel. Planning for a move takes coordination and the help of your local moving company – make Barnes Moving YOUR local mover starting now. As soon as you know a move will happen, contact Dean or Sharon at Barnes Moving and Storage. 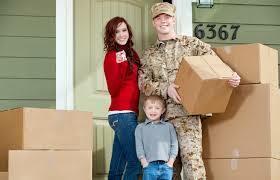 We’ll study what your needs are and work with you to come up with a relocation plan. A Mayflower Company, Barnes Moving makes your next company move seamless and stress free. Remember that Barnes provides storage for both individuals and businesses and offers several options for long- and short-term storage. When you are planning a Corporate, Commercial or Business Office move from any Connecticut town, call the team that gets the job done to your specifications: Barnes Moving and Storage. Call Dean or Sharon today at 860-536-8960.Also proudly serving America’s military by servicing the Naval Submarine Base in Groton, CT and The Newport Naval Station in Newport, RI. There’s not too much this local company can’t do to meet your needs!